Select "Directions" below the location you wish to see. Take I-95 south to Augusta Exit 109B; from the exit ramp merge right onto Western Avenue heading west toward Winthrop. Get into the left lane and turn left at the first light (Edison Dr). Immediately take the first left onto a jug handle that will reverse your direction. Turn right, back onto Western Avenue heading east. Follow Western Avenue to the traffic circle. At the traffic circle, take the 2nd exit onto ME-100 N/ME-17 E/US-201 N/US-202 E/Western Ave. Cross the Memorial Bridge. At the traffic circle, take the 1st exit onto Stone Street. Continue onto Hospital Street. Turn right onto Tyson Drive. Turn right onto Blossom Lane. Destination will be on the left. Parking can be in adjacent lots. Take I-95 north to the first Augusta exit 109A (formerly exit 30); from the exit ramp merge right onto Western Avenue heading east. Follow Western Avenue to the traffic circle. At the traffic circle, take the 2nd exit onto ME-100 N/ME-17 E/US-201 N/US-202 E/Western Ave. Cross the Memorial Bridge. At the next traffic circle, take the 1st exit onto Stone Street. Continue onto Hospital Street. Turn right onto Tyson Drive. Turn right onto Blossom Lane. Destination will be on the left. Parking can be in adjacent lots. Take Route 27 South to Route 1 in Wiscasset. Turn left onto Route 1 North, through Wiscasset into Edgecomb. Turn right onto Route 27 South, to the Boothbay Harbor Region. Once on Route 27: Travel south to Boothbay Center (about 9 miles). Landmarks on the right are Chamber of Commerce, Clipper Mart/Subway, Baptist Church, and Town Office, and the Boothbay Common on the left, just before a traffic circle. At the circle, take the first exit (right) onto Corey Lane/Lakeside Drive. Follow this road to the stop sign at its southern end (about 2.5 miles). Continue straight onto McKown Point Road and follow to its end (about 1 mile). We are the last facility, at the end of the road. Take Route 1 North, through Wiscasset to Edgecomb. Turn right onto Route 27 South, to the Boothbay Harbor Region. Take Route 1 South, through Damariscotta and Newcastle to Edgecomb. Turn left onto Route 27 South, to the Boothbay Harbor Region. OOnce on Route 27: Travel south to Boothbay Center (about 9 miles). Landmarks on the right are Chamber of Commerce, Clipper Mart/Subway, Baptist Church, and Town Office, and the Boothbay Common on the left, just before a traffic circle. At the circle, take the first exit (right) onto Corey Lane/Lakeside Drive. Follow this road to the stop sign at its southern end (about 2.5 miles). Continue straight onto McKown Point Road and follow to its end (about 1 mile). We are the last facility, at the end of the road. Stay on Route 27 through Boothbay Center and into Boothbay Harbor. Go straight at the traffic light by Hannaford Bros.. The road splits into one-way sections; stay on the right branch (the appropriate one-way). Watch for and turn right onto West Street (first street on right). At stop sign, turn right again (back onto Route 27 South). Landmarks from here are Mill Cove Landing condominiums on right, then St. Andrews/LincolnHealth on left, then small Post Office on right. Cross a small causeway. Take next left onto McKown Point Road and follow to its end (about 1 mile). We are the last facility, at the end of the road. Take Route 1 North (in Belfast it is Route 1 and Route 3) all the way into Ellsworth. At the light beside McDonalds in Ellsworth take left. Proceed about one mile and take a right onto Route 184 toward Lamoine State Park (Approx. 8 miles). Enter the Park and take your first left. Take Interstate 95 South. Once you enter Bangor get on Interstate 395 and head toward the Downeast Area (Ellsworth). You will then be on Route 1A. Go through Ellseworth on Route 1A and at the light beside McDonalds take left. Proceed about one mile and take a right onto Route 184 toward Lamoine State Park (Approx. 8 miles). Enter the Park and take your first left. Take Interstate 95 North. 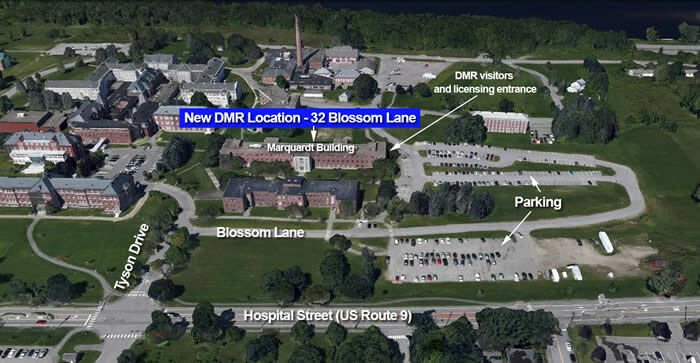 Once you enter Bangor take Exit 182A (formerly exit 45A) to get on Interstate 395 and head toward the Downeast Area (Ellsworth). You will then be on Route 1A. Go through Ellsworth on Route 1A and at the light beside McDonalds take left. Proceed about one mile and take a right on to Route 184 toward Lamoine State Park (Approx. 8 miles). Enter the Park and take your first left. Take Route 1 South to Harrington, then take Route 1A to Milbridge, then take Route 1 towards Ellsworth. Just before you get into the City of Ellsworth look for Route 184 on your left and the signs to Lamoine State Park. Enter the Park and take your first left. Take Hogan Road toward Bangor (East) the next intersection past Mt. Hope Ave. It is just beyond the Fire Station. Tunr right, continue on that road (one stop sign). The building is the second on the right after the large parking lot. There is a Forest Hart deer statue on the front lawn under the pines. IF&W sign on the corner of road to parking lot. Turn left on to RT 1A. 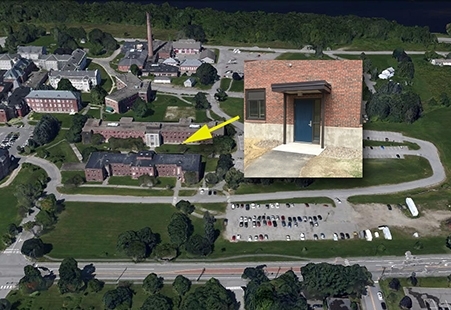 Office is on the right immediately after the Maine Forestry Service Headquarters. Inland Fish & Wildlife sign on the corner of road to building. Turn right on to RT 1A. Office is on the right immediately after the Maine Forestry Service Headquarters. Inland Fish & Wildlife sign on the corner of road to building.